There’s something about spending time in the Great Outdoors. It’s almost magical. It cleanses the soul and reinvigorates us so we can cope with normal ‘civilised’ life. Spending nights under canvas has a stronger effect, I feel. I’m not talking about pitching up in a campsite where you share washing facilities with others, I’m talking about wild camping; just you, a tent and nature. With spring approaching there will be many of us who will be heading onto the moors to spend a night or two. My first experience of camping was when I was very young. We had an old canvas tent with no poles so we used what we could find and pitched it in the garden where our friends would pile over and sleep in it overnight in the summer. It wasn’t exactly wild but it was great fun. Then the camping holidays in Cornwall where I sampled the delights of the campsite. 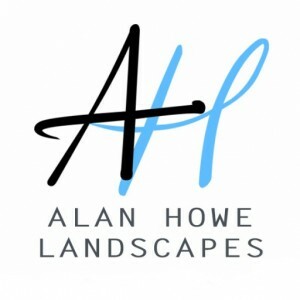 It was exciting then and I have nothing against campsites as I’ve used them when visiting other areas, but I never felt that connection with nature like I do when I’m on the moor overnight. Listening to the moorland creatures settling down until the wind rustling the tent is the only sound and waking up just before sunrise without having to walk miles to get to my chosen spot. You can’t beat it. My biggest problem is carrying everything (camera kit, camping gear, food and water) so going with a friend is always useful. My last camping trip was to Great Mis tor. It was quite something when the sun set and the moorland creatures settled. I could see the lights of cars on the a386 heading to and from Tavistock but there was no sound. Pure peace and one of the best night’s sleep I’ve had. I woke up in time for a fairly bland sunrise but the cuckoo calling made me smile to myself and made it completely worth it. 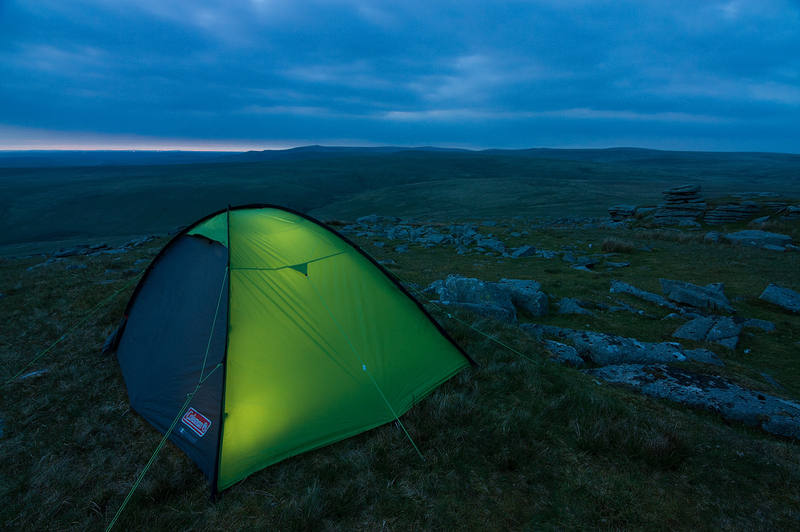 Dartmoor is one of the last places in the country where you can legally wild camp. In Scotland you’ve pretty much got free reign, as long as you use common sense. Of course you can’t just pitch your tent anywhere in the Dartmoor National Park, there are rules, but it seems they’re not well known. For example, you can’t park a motorhome or pitch a large tent at the side of the road or in one of the many car parks and stay overnight; you have to use a proper campsite. You can’t pitch your tent within 100 metres of any road or dwelling either and you mustn’t pitch within walled areas, near archaeological sites or on flood plains. There are also areas where camping isn’t allowed which can be found on this map http://www.dartmoor.gov.uk/visiting/vi-enjoyingdartmoor/camping/camping-map. 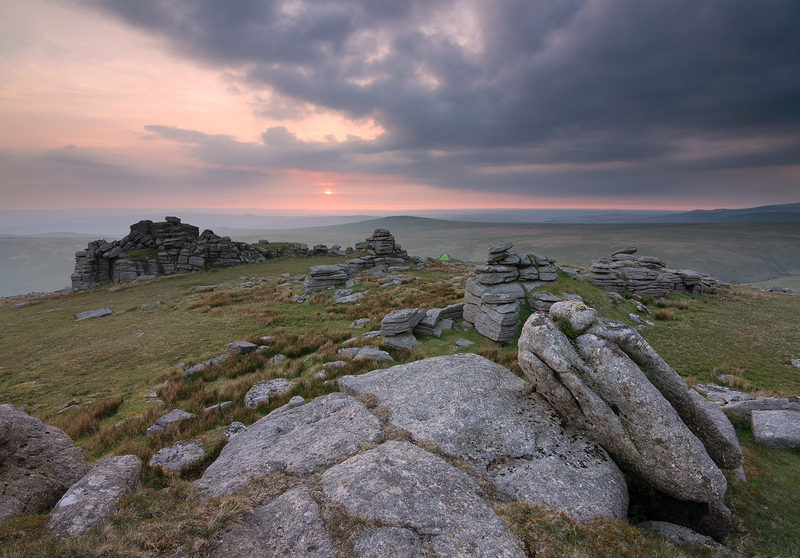 What most don’t realise is all of the land contained within Dartmoor’s boundaries is privately owned so permission is needed to camp and only for individuals or small groups for a maximum of 2 nights in the same place. Another thing that is to be considered is litter and waste. (Almost every visit I make to the moors now is spoilt by litter that has been discarded with no thought, but that’s another blog.) Not only does it spoil the countryside but it also has an effect on the wildlife that lives there, particularly in spring when many animals are nesting and breeding. Also fires are not allowed due to damage they cause and especially in very dry weather the major fire risk should be obvious. There’s nothing stopping us enjoying the experience of camping on Dartmoor as long as we follow the rules and use common sense. As long as we do then we should be able to carry on enjoying the moor for many years to come.